Very Good. Trade paperback (US). Glued binding. 269 p. Contains: Unspecified, Tables, black & white, Figures. An estimated 40 percent of global assets are controlled by 1, 645 men and women-the billionaires. This book reveals what the other 99.9998 per cent of us need to know. 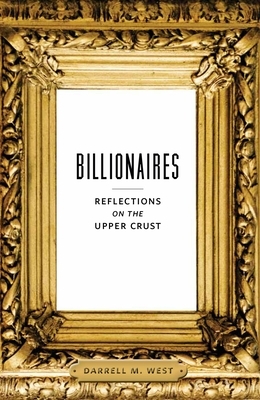 With rich anecdotes and personal narratives, it goes inside the world of the ultra wealthy. Good. Trade paperback (US). Glued binding. 269 p. Contains: Unspecified, Tables, black & white, Figures. An estimated 40 percent of global assets are controlled by 1, 645 men and women-the billionaires. This book reveals what the other 99.9998 per cent of us need to know. With rich anecdotes and personal narratives, it goes inside the world of the ultra wealthy. Good. 0815725825 cover is a bit torn at edge.